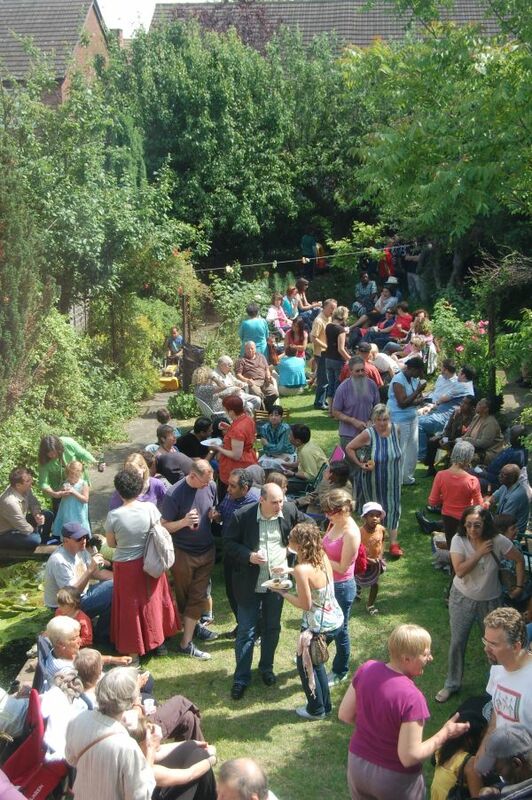 on Sunday, 7th June 2009, from 1 to 5pm. Zannetos Christoforou has managed to keep Waltham Forest THUSO in South Africa supplied with plants of all description over the past three years for fundraising purposes. 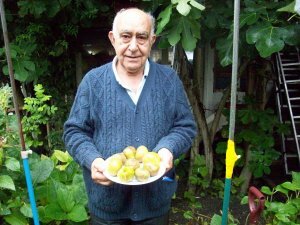 Retiring some years ago from his job as a Chief Biochemist in an NHS hospital, Chris, as he is affectionately known to friends and former colleagues, enjoyed spending his spare time in his garden raising plants and sharing his figs with friends and relatives. His ambition over the years was to get the fig plant grown in this country to perform in the same way as that of his native Cyprus. 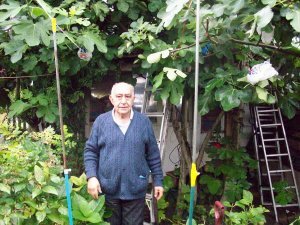 As a Greek Cypriot living in London for many years, Chris has over the years, by trial and error, spent a great deal of time and a small fortune in his efforts to replicate the fig tree as grown in his native Cyprus. As a result of his hard labours over the years he eventually came up with plants capable of tolerating, surviving and producing fruits despite the occasional severe British weather conditions. On a recent visit to Cyprus, Chris was convinced that figs grown in his London garden are far ‘superior in taste’ to those he was accustomed to as a young man living in Cyprus. WFTISA is kept regularly supplied by Chris with brown, purple and green fig trees for sale. 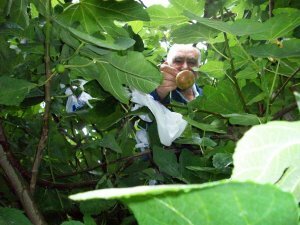 Fig trees grown in the open ground can usually be left to their own devices when it comes to feeding and watering.Figs should be pruned annually in order to keep them to a reasonable size, (pruning in December or January). 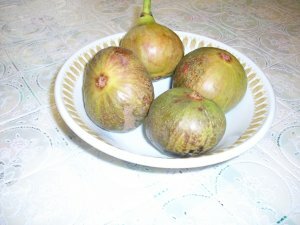 The fruits should be left to ripen on the plant; one can detect when they are ready for picking when the fruits change colour by turning brown or purple. Fig pants can also be grown in large containers. Don’t worry if your fig trees shed their foliage in the Autumn as the leaves will return in the Spring when plants begin to show signs of renewed life. With the help of his wife Irene and the company of his pet rabbit, Chris continues to work with great enthusiasm in his efforts to maintain a regular supply of plants for our organisation. We welcome and appreciate this work as we are able to sell plants regularly at THUSO stalls at various fetes and local events. Chris provides us with much-needed fund-raising material so that we can continue to help support the destitute children at the Thuto Lesedi School. So next time you see our stall at a local event – make sure you get yourself one of Chris’s special figs and enjoy the scrumptious fruits.